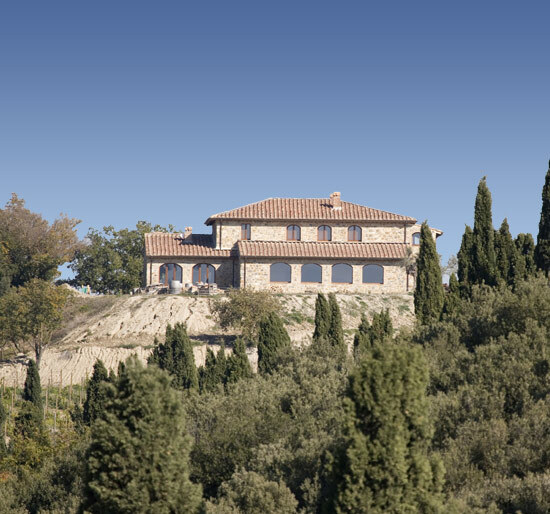 “The history of Tenuta Vitanza is short lived but intense, and like others in Montalcino, packed with emotions. The threefold reason for its existence which I share with my husband are intense charm, love and passion. Charm, was what I felt on my first sight of a Montalcino’s breath-taking sunsets. This was the time I wanted to be part of it all, part of this wonder, and in fact I will never regret this decision. The feeling of well being and of being in tune with the universe was felt in that moment and is renewed today. A similar, almost sensual sensation, is felt when the display of different colors of these vineyards is lost to the sight, ascending to the skies to utter its grateful thanks for this boundless complicity, in a unique and unrepeatable manner elsewhere. Love, my husband and I have perfectly shared this deep sea of feelings, this ever-growing spiral of desire and emotions, in a perfect understanding and a magical complicity. I shut my eyes and in seconds our city life was gone, our links suddenly remote, and I was with my vineyards. I nursed and cared for them with love, as parents do for their children, and in this very spirit, we wanted to raise our daughter here. Passion, we feel for the good wine. Here in Montalcino, you will remain astonished by the generosity of these wines, by the quality of the different but special grapes picked during each harvest. With great passion, animated by a strong desire to know more about wine-making, I learned from the people born and raised here, and that with great generosity, shared their know-how with me.